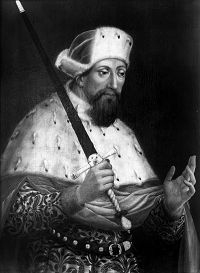 Ludwig III Kurfürst von der Pfalz was born on 23 January 1378. He was the son of Rupprecht III von der Pfalz, Holy Roman Emperor and Elisabeth von Hohenzollern.1 He married, firstly, Blanche Plantagenet, daughter of Henry IV, King of England and Lady Mary de Bohun, on 6 July 1402.3 He married, secondly, Matilda Principessa de Savoia-Achaea, daughter of Amadeo de Savoia, Prince of Achaea and Catherine de Genève, on 30 November 1417. He died on 30 December 1436 at age 58 at Heidelberg, Baden-Württemburg, Germany. He was a member of the House of Wittelsbach.1 He succeeded as the Kurfürst von der Pfalz in 1410.1 Ludwig III Kurfürst von der Pfalz also went by the nick-name of Ludwig 'the Bearded'. Erik VII of Pomerania, King of Denmark was born in 1382.2 He was the son of Wartislav VII of Pomerania , Duke of Pomerania and Marie von Mecklenburg, Duchess of Pomerania.3 He married Philippa Plantagenet, daughter of Henry IV, King of England and Lady Mary de Bohun, on 26 October 1406 at Lund, Skane, SwedenG.2 He died circa 1459 at Regenwalde CastleG. [S11] Alison Weir, Britain's Royal Families, page 127. She gained the title of Princesse Jeanne de Navarre.1 After her marriage, Jeanne d'Evreux, Princesse de Navarre was styled as Queen Consort Joan of England on 25 February 1403.2 She was appointed Lady Companion, Order of the Garter (L.G.) 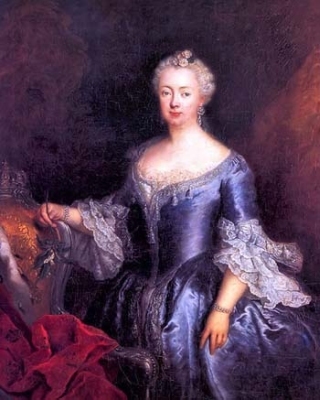 in 1405.2 After her marriage, Jeanne d'Evreux, Princesse de Navarre was styled as Duchesse de Bretagne. Sir William Bourchier, 1st Count of Eu was born circa 1374.3 He was the son of Sir William Bourchier and Alianore de Lovayne.2,4 He married Anne of Woodstock, Countess of Buckingham, daughter of Thomas of Woodstock, 1st and last Duke of Gloucester and Lady Eleanor de Bohun, before 20 November 1405.1 He died on 28 May 1420 at Troyes, Champagne, FranceG.4 He was buried at Llanthony Priory, Llanthony, Monmouthshire, WalesG. [S6] G.E. Cokayne; with Vicary Gibbs, H.A. Doubleday, Geoffrey H. White, Duncan Warrand and Lord Howard de Walden, editors, The Complete Peerage of England, Scotland, Ireland, Great Britain and the United Kingdom, Extant, Extinct or Dormant, new ed., 13 volumes in 14 (1910-1959; reprint in 6 volumes, Gloucester, U.K.: Alan Sutton Publishing, 2000), volume II, page 248. Hereinafter cited as The Complete Peerage. [S11] Alison Weir, Britain's Royal Families: The Complete Genealogy (London, U.K.: The Bodley Head, 1999), page 283. Hereinafter cited as Britain's Royal Families. From 30 January 1893, her married name became Montagu Douglas Scott. 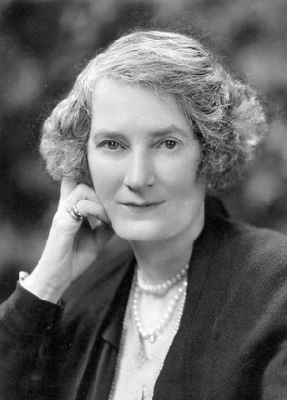 After her marriage, Lady Margaret Alice Bridgeman was styled as Duchess of Buccleuch on 5 November 1914.